Discussion in 'OS X Mavericks (10.9)' started by macstatic, Aug 21, 2014. In Snow Leopard I could press F4 (on my extended Apple keyboard connected to a Mac Pro) to access widgets. If I do this on my Macbook Pro with Mavericks I instead get the launchpad. I can't find and entry for F4 anywhere in the "Keyboard"-"Keyboard shortcuts" system preference, so is this somehow hardcoded and un-editable in Mavericks? I love Exposé, but alas it's no longer in Mavericks though I have gotten it to behave in much the same way. In 10.6 I had a hot corner for "All windows" and "Desktop". In 10.9 I have a hot corner for "Desktop" but there's no "All windows" so I chose "Mission control" in its place with the "Show Dashboard as a space" feature turned on. It's more clicking than with 10.6 though. Is there a better way to access the Dashboard (if F4 can't be redefined)? And is there a way to get a hot corner option for "All windows" back? You can set a hot corner to access the Dashboard. F4 still works for me (Macbook Pro 2011, Mavericks). All windows : Ctrl + down arrow, or swipe 3 fingers down if you use a trackpad. 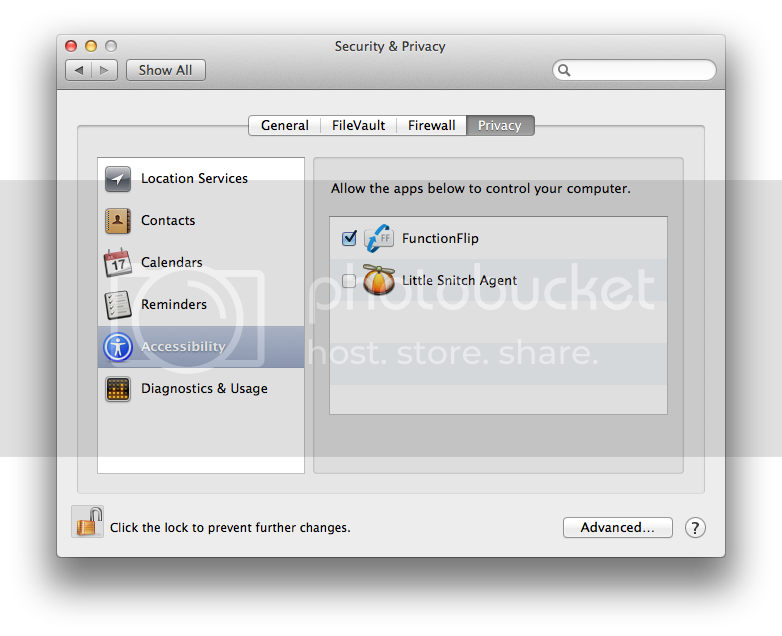 See System Preferences / Trackpad, and System Preferences / Mission Control / Shortcuts. You can redefine F4 to get the Dashboard. It's in System Preferences > Shortcuts > Mission Control > Dashboard. To actually type F4 on your keyboard you have to hold the "fn" key down at the same time. That's strange, that F4 gives you the widgets while it doesn't here. F4 gives me Launchpad while F3 gives me Mission control (which further lets me choose widgets, but it's cumbersome). I'm sure there must be some configuration somewhere since we both have Macbook Pros and Mavericks. I haven't gotten used to the gestures, but given time I might. CTRL + left arrow (not down) gives me the widgets though. Chabig: yes, you're right. It does work if I simultaneously hold down the Fn key, but that's not how I want it. It should work as the labelling on the keys are marked. Since F1/F2 adjust the screen brightness and F11/F12 set the audio volume I find it inconsistent that with F4 I all of a sudden have to hold down Fn. F4 gives me Launchpad while F3 gives me Mission control. That's not quite accurate. It isn't F4 that's giving you Launchpad, nor is it F3 that is giving you Mission Control. Those are the default functions of those key, just as there are brightness keys to the left and media keys to the right. To get the 'F1, F2, F3..." feature you have to simultaneously hold down the 'fn' key. The need to hold down 'fn' can be bypassed by System Preferences > Keyboard > "Use all F1, F2, etc. keys as standard function keys". If you do that, the 'fn' key has to be held down to get the media effects. So there's no way to redefine F3, F4 etc. (without the Fn key)? Apple in their wisdom have apparently chose to all of a sudden change things around in Mavericks (could be Lion/Mountain Lion as well as I skipped those OS versions) compared to Snow Leopard it seems. You can define those keys to do anything you want. Without the Fn key, it's not possible. I'm not sure whether remapping the keys work or not. On my Macboo Pro 2011(Mavericks), for example, "Use all F keys as standard function keys" is NOT checked. BUT, natively, the F3 key is for Mission Control, and the F4 for Dashboard. CTRL + left arrow (not down) gives me the widgets though. Only because you have selected "Show Dasboard as a Space", otherwise, this would not work. Chabig; yes, I know about that setting, but then I have to press Fn along with F11 or F12 in order to change the volume as well. I just want to be able to press those F-keys (without Fn) and have them do what the labelling on each key says it should do (and what I'm used to from my Mac Pro keyboard). Perhaps it's a matter of which Mac model you're using as you point out Bruno09. I don't : pressing F11 or F12 allows me to change the volume without the Fn key. Again, all this depends on what Mac / what keyboard you use. Yes, but you have the "Use all F1, F2 etc. keys as standard function keys" unchecked, right? That's the same as here, and indeed I can press F11/F12 on their own to change the volume. But my struggle is to get to change the default F4 setting for use WITHOUT having to press Fn simultaneously. I guess this is hardcoded into my Macbook Pro. EDIT: I just tried connecting my Apple aluminum keyboard w/numeric keypad to my Macbook Pro to see what happened. Exactly the same thing as before (pressing F4 opened up Launchpad) so it's either got to do with the OSX version or the computer. macstatic, here is your answer! http://kevingessner.com/software/functionflip/. Thanks, that Functionflip pref pane solved the F4 issue! Don't worry. Some apps need authority to make things happen on your computer. It you don't give permission, they won't work.